It's no secret that imprinted calendars and planners offer a great way to keep your organization's name in front of your customers 365 days a year, but did you know that you can save up to 20% on your calendar purchase if you order by June 30? The reason for the discount is simple. Too many people wait until the last few months of the year to order their calendars and planners, creating a backlog. Those that plan ahead are rewarded. Worried about storage? No problem. We can warehouse your order for delivery later in the year on a date that's convenient for you. So why wait? 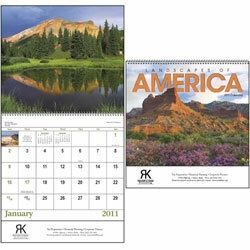 Browse our comprehensive selection of promotional calendars and planners and get your order in before the end of June!